At Vauxhall Gardens, we grow a German strain of Chamomile that surpasses other varieties in its high essential oil compounds. Chamomile is known for its soothing, anti-inflammatory benefits. 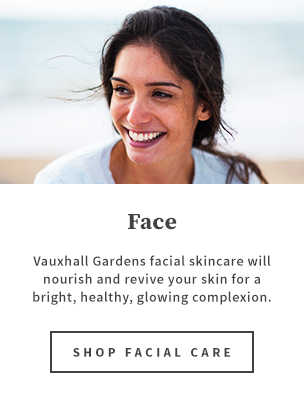 Vauxhall Gardens is committed to growing only the most fragrant flowers with the highest oil content. 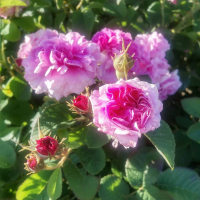 We therefore only grow select varieties of the Damask Rose. 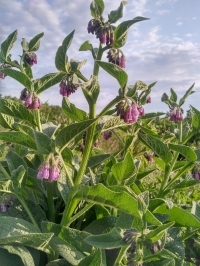 Vauxhall Gardens cultivates the Bocking 14 variety of Comfrey exclusively, because it contains the highest allantoin content known. 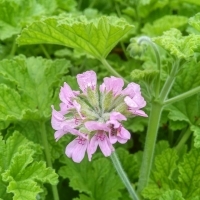 Allantoin is a natural cell rejuvenator that speeds healing and will reduce any sort of inflammation. Stimulating cell regeneration, reduction of free-radical damage which prevents premature aging of the skin and phenomenal toning qualities, Helichrysum works hard at keeping your skin looking young. 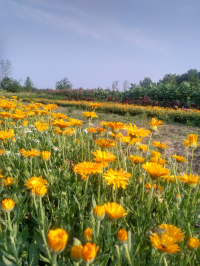 At Vauxhall Gardens we are committed to growing the Calendula officinalis c.v. Calypso Orange as it contains the highest active properties of any known Calendula. Cherished for its sweet fragrance, Lavender has become of the most popular medicinal herbs since ancient times. Blessed with a very uplifting fragrance, this botanical will balance the skin and bring vitality to sluggish and oily complexions. It also helps with maintaining the skin’s elasticity and will gently heal any aggravations on the skin’s surface.